With Idris Elba voicing Shere Khan, it would be hard to deny the character’s power and charisma. However, there’s a bit of an uncanny valley in these CGI-ed animals. 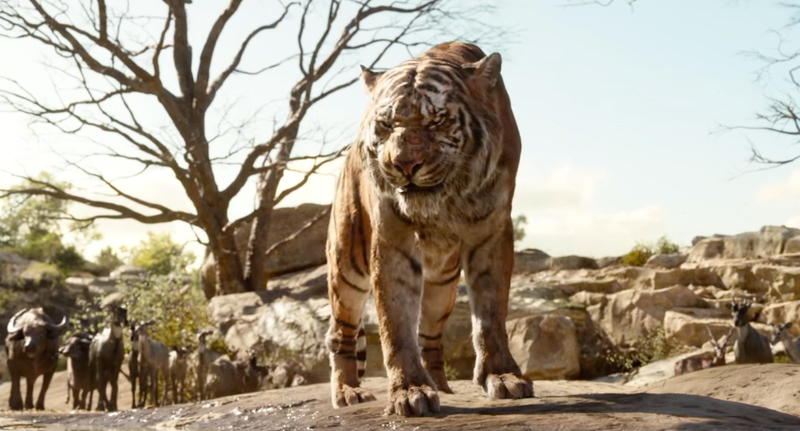 This is the first extended look we’ve had of the talking creatures of Disney’s live-action Jungle Book, and while they look better than we thought they would, there’s still something not quite right about them. The scowl on Shere Khan’s face hides a lot of it, but once the wolves start talking, it all starts looking inescapably weird.